According to the Bureau of Labor Statistics, the average American family spends around $1,700 on clothes per year. Learn how to match necklaces for necklines and look more fashionable than ever. necklaces for necklines, you need to be conscious of the specific neckline. Different necklaces look good with different necklines. Inversely, some necklaces don’t complement certain necklines. Be mindful of the pendant when deciding what necklace to wear. The pendant’s shape can make or break your look. The length and width of the necklace also draws people’s attention to a certain point. This love collection is just perfect if you love the symbol itself. Love is a virtue, love is what makes the world go round. And honestly, I believe that love is the most important thing. Not only is this a perfect gift for yourself, if you value love and like to declare it with jewelry, but it really also makes the perfect gift. For your love. Carrera Y Carrera is one of the most famous jewelry companies that has a worldwide succes. Their collections are much appreciated for their craftsmanship and their very typical matte-shine effect.Carrera Y Carrera brought a new collection on the market. And it’s all about love. Love in letters…love in classical symbols. Check it as you might just discover the perfect (Christmas) gift! Despite its relative lack of use compared to more popular modern cuts, the marquise has been around a long time. 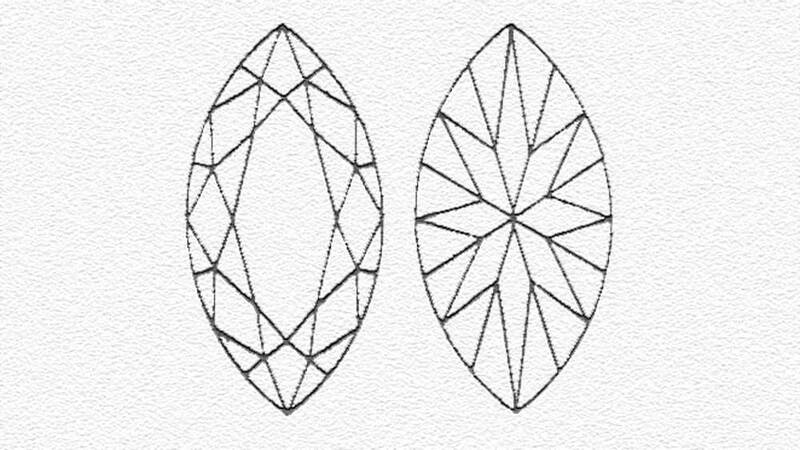 Unusually, though, for diamond cut types, it isn’t named for any actual corresponding shape. Back in the 18th century, King Louis XV of France commissioned a jeweler to design a new cut. Louis wanted the cut to resemble the lips of his mistress, Madame de Pompadour. Over time, the resulting cut evolved into what we now know as the marquise. The name, itself, comes from the name of the hereditary rank between count and duke. Men would wear stones using the new cut, to display their rank at court. The name marquise soon became the accepted term for the hitherto nameless gemstone cut. The modern (post c1960) marquise cut is different to the original 18th version. Now, the cut is actually a version of the round brilliant cut. It has 58 facets in the same configuration of the round brilliant. This means that the standard of modern examples is usually excellent. The elongated shape of the marquise lends itself well to making fingers look slimmer and longer. It also means the stone can look bigger than its stated carat weight, in comparison to different cuts of the same weight. We all know that diamond is the hardest natural mineral we know. What many find surprising is that it is also quite brittle. With any cut diamond, if you hit it just in the right/wrong spot, or at the right angle, there is a real risk of the stone chipping. Even worse, it may split or shatter altogether. The long nature of the marquise exposes the pointed ends far more than normal. Even just a sharp tap on the point risks serious damage. Because of the 58 facet nature of the modern marquise, light is used differently by the diamond. If the cut isn’t done with enough care, what is called the bow-tie effect comes in. When viewed from above, almost all marquise diamonds display some darkening around the center point. This creates an effect similar to a bow-tie. A slightly deeper pavilion may reduce the effect, but few marquise cuts escape the phenomenon altogether. The different types of necklace chain styles are based on the same principle of links being connected together to make a long, continuous piece.The links can be processed using various treatment methods, however, to produce a variety of results. Treatment methods make each of the different types of necklace chain styles distinctly different from each other. This method will change the shape of an individual link so that it will look completely different from its original form. Dies, templates, and tools are used to swage a link. The result is a dramatically different link from the original.Classic chain styles have been around for thousands of years, and are the most versatile of all the types of necklace chain styles. So, what are the different types of classic chains? An anchor chain is similar to a flattened curb chain, but each link is reinforced with a vertical bar running through it. The anchor chain style is very popular due to its strength, durability, and versatility. The chainlooks beautiful with small links, but larger links make for a stunning statement piece. When it comes to clothing and jewelry, what’s available is often dictated by what’s in fashion. But necklaces are different – you can tailor the different types of necklace chain styles to suit your taste.If your tendency is toward the traditional, you can easily find a chain you’ll love as, when it comes to the different chains, there are many variations on classic designs.If you prefer a more modern (a design style), or contemporary (what’s hot right now) look, however, then there are plenty of different types of necklace chain styles to choose from.And if you want to choose a variety of styles depending on your outfit, you’ll find those here, too. We’ve sorted our guide by classic, modern and contemporary designs, so you can find what you’re looking for in a cinch. If you have no pair of earrings yet, you might want to consider to choose a classic pair of hoops or a smaller button like earring. Maybe even a simple pair of pearl earrings, if this is your style and taste. Choosing the perfect earring is not as difficult as it may seem. My first advice would be to spend a lot of time, and one can easily do that online too, looking at various styles. After that, I would advice you to consider whether this earring is the ónly pair of earrings that you’ll own, or if you have already some different pairs at home. Choosing the right earring can be a lot of fun and really do something for your outfit and face! An earring can really lift up your outfit and bring a little extra sparkle to your face. It’s the piece of jewelry, together with the necklace, that people will notice first when you look at them. It can add color or sparkle. Make a statement or show your sense of class. It can be really a fashion item too. Gassan owns a few famous jewelry stores in the Netherlands and have their own line of jewelry too: Choices by DL. The first three from top to bottom are all by Choices by DL and so is the green pendant and the earring right in the middle with the moonstone. The purple pair of earrings is by Gumuchian, and the blue long pendant earrings are by Bellon. The organic touch and look of the black and rose gold plated silver earrings are by Pesavento and the little lanterns with citrine are by Syna. The satin gold with the blue topaz are made by Bicego. Earrings are often stunning on the red carpet. Now this a good inspiration as you can see how they look on people, but don’t get blown away by the fact that these celebrities wear very expensive jewelry. Fact is that the red carpet is a marketing show. Nothing more and nothing less. It might be slightly superficial, but at the same time it is big business for the luxury companies of this world and one of the rare moments they get to shine. Most of the jewelry does not belong to the stars and they will be dressed and bejeweled by stylists and companies. As you know, I spend a lot of time looking at photos of celebrities and their various replica handbags, which means I spend a lot of time looking at and reading other blogs. I guess it’s the same as other websites, but I think the comment section is where it’s at! The topic that I am going to be talking about today is clutches, and you can see an example, above, of Lupita Nyongo’s Prada bag, the Prada Raso clutch, which is going to help illustrate my point. First, check her out above sporting a blast from the past, the Prada striped tote. I think these came out when I first started writing this blog (wow it seems like it was just yesterday) and I am still a huge fan of this Prada bag. Check her out below with one of her impeccable Christian Dior handbags, the Mulberry Leopard Bayswater bag. This bag is to DIE for. I want to reach into the photo and grab this Mulberry bag for myself, but alas, I can’t! So, I understand that this is an extreme example (but one which features an impeccable Christian Dior bag) but I have to really admire her guts and commitment to the fashion community. Though I wouldn’t wear any of this myself (besides that Prada handbag, of course) I really shouldn’t worry about what other people with think too much. I guess I should make this my new philosophy in life, don’t you agree? 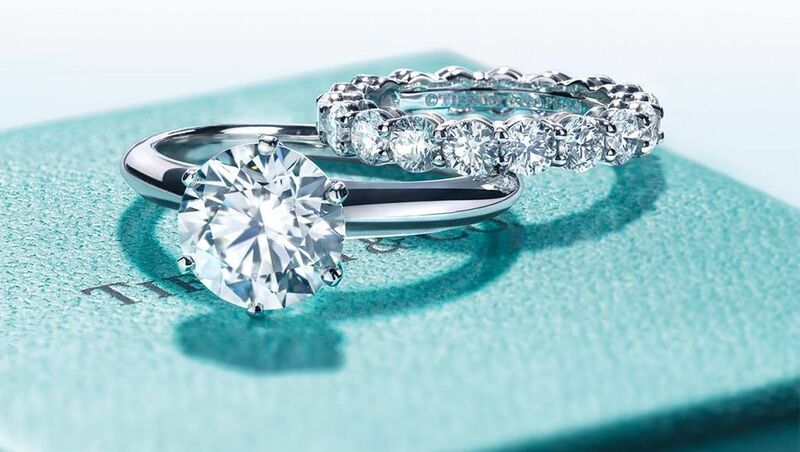 Engagement rings are without a doubt among the Tiffany and Co. best sellers. From plain princess-cut solitaires to glimmering engagement rings with channel-set princess diamonds, micro-pave set round diamonds, millegrain detailing inside the band, and of course a gorgeous center diamond, these rings have been popular for decades and will certainly remain in demand well into the future. Designer Paloma Picasso has created a number of exquisite Tiffany and Co. best sellers, including the Loving Heart collection. Necklaces, earrings, and bracelets are designed to be worn alone or in sets, and matching rings complete the look. Simple, evocative, and popular, they are favorites with women everywhere. Exquisite, colorful, and always unique, pieces from the Tiffany Prism collection celebrate the beauty of Louis Comfort Tiffany’s fabled stained-glass artwork. Intense hues and bold designs make these opulent treasures stand out. Diamonds, sapphires, emeralds, pearls, and other stones come together to create three-dimensional masterpieces. 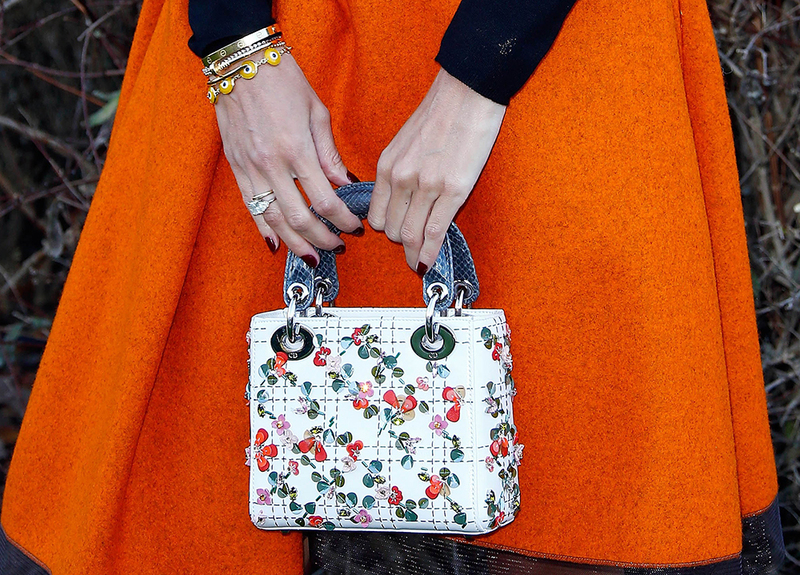 Hermes is still one of the IT brands continuously making more of the IT bags. Anything that Hermes produces is always well received and fashion people go crazy and more to get some of the lizard, ostrich or alligator leather Hermes totes in all shades and sizes. Victoria Beckham is know to have picked up quite a collection of the gorgeous Hermes bags, some Birkin bags in various shades, and Kelly bags too. Just name it. Hermes already had its presence in the States, when Kelly bag was manufactured (originally it was actually called Sac à dépêches) . Hermes had its ups and downs until it came under leadership of Jean-Louis Dumas-Hermes, who helped the brand to become one of the most distinguishable luxury goods companies. After 30 years of working for the brand, he now handed the very successful company to Patric Thomas, who is now CEO of the label. Right now Hermes has 14 product lines that include famous leather accessories and leather hand bags (such as Kelly bag or Birkin bag), men’s and women apparel, watches, jewelry, shoes, perfumes, even table ware items and other products. Bold color combinations of Hermes bags replica and high heel shoes provide plenty of flexibility in your wardrobe. Classic color combinations look stylish on everyone, no matter the season. Neutral colors, like black, navy, white, brown, grey and khaki, put together create timeless and flattering looks but bold color combinations. The thing I love most about it is actually its simplicity. And I believe that somehow people have come to the conclusion that a handbag doesn’t necessarily need to have a complicated design in order to catch the eye. Fine lines, high quality materials and a small touch of sophistication are enough for a handbag to transform your look into a work of art! Hermes bags are extremely expensive and hard to get and you could think it’s close to impossible to find good replicas. But that’s not true; you can find high-end faux Hermes bags that are obviously made with a lot of care and devotement to copying the original as good as possible. In the entire handbag market, Hermes reigns above all brands and that is because their handbags are truly the best. There are high-quality Hermes replica handbags on the market and these reviews here are meant to help you find the best knock off Hermes bag. Hermes replica handbags come in a variety of colors, variety, leather and hardware options and that’s why Hermes is the handbag holy grail. With a dazzling array of colors, shapes, and applications, it’s no wonder humankind has been captivated by jewels and gemstones since the beginning of time. We are consistently seeking the most impressive ways to display them. Passed down as heirlooms, kept as talismans and signifying momentous occasions – jewelry has a distinctive place in our history. One company which consistently delivers work at an expert level of craftsmanship and technical ability is the Parisian jeweler, Van Cleef & Arpels. Founded in France in 1933, it is a testament to their craft that over 100 years later they operate boutiques in the USA, Middle East, South East Asia and Australia. With a dazzling array of colors, shapes, and applications, it’s no wonder humankind has been captivated by jewels and gemstones since the beginning of time. We are consistently seeking the most impressive ways to display them. Passed down as heirlooms, kept as talismans and signifying momentous occasions – jewelry has a distinctive place in our history.One company which consistently delivers work at an expert level of craftsmanship and technical ability is the Parisian jeweler, Van Cleef & Arpels. Founded in France in 1933, it is a testament to their craft that over 100 years later they operate boutiques in the USA, Middle East, South East Asia and Australia. Just as jewels and gemstones have captivated human minds, so have the lives and traits of our animal companions and the symbolism that goes along with them. It makes sense then, that they’ve featured with such frequency as inspiration for jewelry design throughout the ages. From its early years, Van Cleef and Arpels have been known for their detailed work featuring flora and fauna. Their latest collection is no exception. Inspired by Noah’s Ark, it includes beautiful renditions of koalas, elephants, owls and even a few creatures of mythical origin. When first purchased Vachetta leather is a light beige colour, but it is designed to age (a process called Patina), so it will go a dark brown shade over the years and with use. Patina is an unavoidable process as Vachetta is susceptible to water, stains and exposure to sunlight. Handles made from Vachetta leather can go very dark due to the grease and natural oils from your hands penetrating the leather. This is particularly common if you wear a lot of hand cream! The upside to Patina, is that each item which has Vachetta leather will develop its own unique characteristics and no two Bags will age the same way. Vachetta is commonly the name Louis Vuitton use to call the leath.’er used on their handbags and luggage range. This typically is used on the brown top & bottom trim along with the handles. Dark Vachetta is a good indicator that a Louis Vuitton handbag is genuine and authentic, as plastic imitation Vachetta won’t go darker and undergo the Patina process.